Kali Uchis fought hard to get where she is. In today’s world, is that enough? Kali Uchi is the new cover star for The FADER’s forthcoming Summer Music Issue. She is the final of four covers, following Cardi B, Paramore’s Hayley Williams, and Lil Yachty. The print edition hits newsstands July 25, and can be pre-ordered here. Writer Jaquira Díaz met Kali Uchis in Los Angeles just ahead of Kali’s forthcoming debut album to discuss how the 22-year-old Columbian-American singer, songwriter, and producer has come to define herself as a person and in her music. 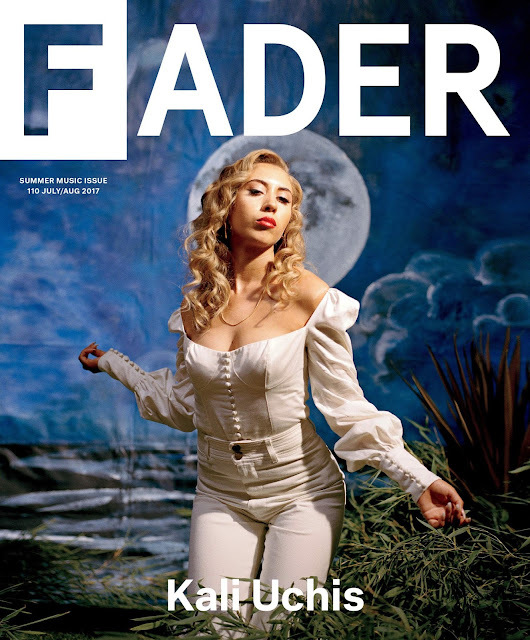 During the interview Kali Uchis discusses her difficult upbringing including her family’s disapproval of her artistic lifestyle, how living out of her car as a teen and learning to take care of herself helped lead to her success, collaborations with Snoop Dogg and Tyler, the Creator, and her desire to be an advocate for oppressed communities. She also discusses being the subject of a recent controversial social media conversation that had the online Latinx community divided. When sharing, please link back to the original story on TheFADER.com, and credit all photos and cover to The FADER/Tyler Mitchell.